Gothel is a witch. Punished for the actions of her mother, her choice is simple: either she stands guard over Princess Rapunzel—or she dies. But just because a choice is easy doesn’t mean it’s pleasant. Protecting Rapunzel means watching as the princess lays trapped in a tower, bedridden by hair that is so long and heavy it’s slowly driving her insane. Gothel’s life has become one of imprisonment and solitude as well—until a prince and his handsome squire appear at the tower. 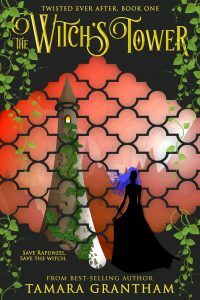 THE WITCH’S TOWER is the first in an inspired new series of fairy-tale retellings from award-winning fantasy author Tamara Grantham.